Tax season is upon us as many look forward to their tax return. 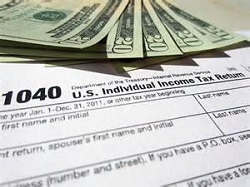 Many over pay their income taxes throughout the year and will get some percentage of their income back. You can invest your income tax return into bettering your future or beginning to wealth build for a more financially secure retirement and future. Following these 4 ways to invest your tax return other than spending that money, can allow you to achieve significant gains in either the short or long term! The best way to look at income tax return money is to view it as a small bonus at the end of the year that you aren’t taxed on by receiving. So why not invest this amount of money into your future by letting it work for you. Whether it be a traditional IRA or a ROTH IRA, you would be giving yourself an opportunity to wealth build and save for retirement with money that had not been planned for in your monthly and yearly budgets. The benefits of buying an IRA can give you a head start on your retirement planning and help set you up on the path of a secure financial future. Invest your tax return into your 401(k). Now technically you can’t invest extra money into your 401(k), but there is a loophole through which you would able to invest the sum of your return into your 401(k). Technically the only way to invest your 401(k), is to have a percentage of your pay taken out every pay period, usually matched by your employer; however, there is another way. Just for explanation purposes let’s say you make $1000 dollars a month. After paying your taxes and various forms of insurance payments, you can live on the difference of what is left which for the purpose of this example is $800 dollars. You can actually write off these living expenses and have you next paycheck redirected into your 401(k). This option of investing your paycheck into your 401(k) is best done when you and your benefits or human resource officer is aware of how you want the money handled. The benefit of using your tax return to invest in penny stocks can yield great returns. In fact the real benefit in using your income tax return to invest in penny stocks over those in more traditional stocks comes from the lower cost. By purchasing stocks at a lower cost, you give yourself a greater opportunity for success because you will be able to either buy more stock for the same amount of money or better diversify your investments. If you are a novice investor looking to invest in start ups, smaller companies, or even just earn the best ways to invest, penny stocks are the way to go. Essentially you are using all this bonus money which won’t detract from your normal living and saving funds, giving you an edge over the person next to you. Often when invest our money we tend to overlook the easiest investment that never seems to be a logical one when we rationalize investing our money. Yet investing in yourself is one of the safest and best ways to invest your money for the future. Maybe you’ve always wanted to start a small business on the side but never had the money, or wanted to start blogging about topics or industry’s you are fond of, but never saw the time or outlet. Taking your income tax refund and applying it to these types of ventures can have a two-fold return in your life. On one hand you may be able to make some money on the side where your hobby or passion may be able to generate additional income. Almost everyone who has worked in various industries has dreamed of being their own boss. By investing your tax return into yourself, this dream can very much become a reality. On the other hand, your overall happiness will improve your quality of life and make life more enjoyable. Anytime you can turn a passion into a way of life, your stress levels will certainly dissipate making life more worthwhile. The key to investing in your future comes from the actions you take today. Investing your income tax return into your future, either short term or long term for retirement purposes can yield great long term returns. The key to a financially secure future starts with the knowledge and willingness to take even a small amount of money from say, your income tax returns, and branching out by investing in 401(k), IRAs, penny stocks, and yes, even yourself. It is never too late to start looking to wealth build and better your future financially. 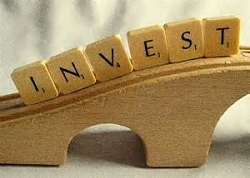 How Can I Invest on a Limited Income?